Bigfoot News | Bigfoot Lunch Club: Yahoo!7 News: Canadian Howling Noises Bigfoot or Hoax? Yahoo!7 News: Canadian Howling Noises Bigfoot or Hoax? The first video was recorded on January 12th. The second one, January 15th is embedded below. These are similar howls, but they sound more like Jurassic Park than Bigfoot. Either way, these are haunting sounds that were recorded on video, 2 days apart and 1000km (620 miles) away from each other. UPDATE: The strange sounds phenomenon continues to spread, with videos popping up from Canada and around the world featuring similar noises. The weird sounds have allegedly been recorded in a number of cities, including Winnipeg, Chicago and Glasgow. While many viewers are intrigued, others are equally skeptical about the strange sounds. Is this the latest Internet meme? HOWLING NOISES BIGFOOT OR HOAX? 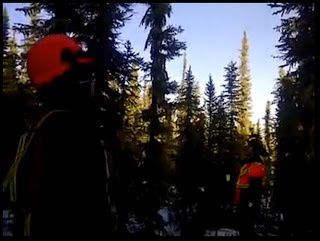 Two videos of howling noises have been recorded in Canada, leading some to believe it may be a bigfoot, or yeti. The Huffington Post reports the first video was posted on January 13 and it recorded strange sounds in a remote forest north-east of Edmonton. The noises, which sound like they may be just an elaborate hoax, have racked up more than 500,000 video views online. Another video surfaced on January 15 and included similar noises but it was recorded more than 1000km away.People commenting on the videos claim it could be anything from aliens to bigfoot. However, common sense would suggest we've seen this type of thing before and it may just be some people trying to get their 15 minutes of fame. A bigfoot sighting in the US last year also sparked interest around the world. It's worth remembering that not one piece of scientific evidence backing the existence of a bigfoot has ever been discovered. IT SOUNDS LIKE IT WAS RECORDED IN A\STUDIO WITH ECHO AND REVERB ADDED NOT LIKE IT'S OUTSIDE AND AT DISTANCE AT ALL. Doesn't sound recorded on the tiny microphone a phone or video camera. Also it sounds like a lot of birds chirpping, too many for a northern spruce bog forest. You can't record what does not exist. That which can be entered without evidence can also be dismissed without evidence. Sounds like it was made in a recording studio.